Almost a year ago, we broke news on a scam hackers were running offering refunds for companies that were “going out of business”. In reality, none of these companies were really shutting down. Instead, hackers were using this as an excuse to gain the personal banking information of victims, so they could “process” the refund. To this day, one of the major businesses hackers claim to represent is “antivirus providers”. Hackers know, with the increased dependency on technology, most people have a computer or mobile device that should have antivirus protection on it. 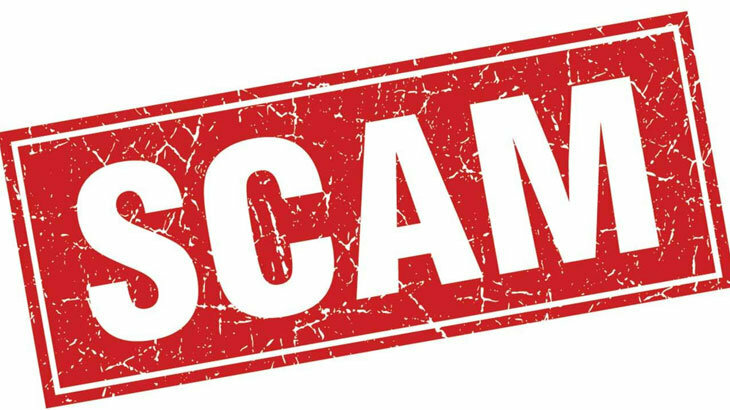 Scammers are exploiting this, by calling unexpected victims claiming to be from their “antivirus company”, which they claim is going out of business. Their comments will remain vague, careful not to disclose a company name. Instead, they wait for the victim to respond with something like “Oh, PC Matic?”. And just like that, they have the information they need. Often times, the victim doesn’t think twice that they’ve given the hackers the information they needed to appear to be legitimately from their security solution. This is exactly what happened to a 67-year-old Arkansas resident. After providing her banking information for the refund, the scammer called back saying the wrong amount was transferred, and she would need to transfer back thousands of dollars. It was then, she realized it was a scam. She immediately hung up and froze her bank accounts. First, it is important to know, companies are not going to call every customer offering a refund if they go out of business. Instead, they would likely do a major press release and/or send out a letter or email confirming the company’s doors are closing. Taking the time to notify each customer by phone is not realistic. If you receive a call like this, you’re encouraged to tell them you know it’s a scam. They will likely hang up, and not call again. Newsletter, PC Matic Blog AntiVirus, pc matic, scam. permalink. When I get the phone calls about my account I like to tell them I don’t even own a computer, or cellphone, etc. In other words, I don’t own any technology so how could any of this effect me!! They usually stammer and then hang right up! I’ve been getting calls and legitimate looking emails claiming my iTunes account has had been used to buy game ad-ons or has been compromised. The email looks especially realistic but the address is something like supportapple@apple1436.ru or something but the .ru is Russia. I like to mess with them…just string them along & waste their time. They really get mad when they realize what you are doing. Please tell your writers and editors that periods and commas go inside (to the left of) quotation marks. Yet, exclamation marks and question marks go outside (to the right of) quote marks—unless the quote itself is the exclamation or question. – Did Bill just say, “Joe kissed Mabel”? No one need fret about these sentences not being p.c. Any real-life Mabels must be well over 60 and (a) don’t care about p.c., and (b) don’t mind a friendly little peck! Right. Two days ago I received a phone call telling me that I had a refund for Tech Support from Microsoft. They said MS was ordered to shut down the tech support program and refunds to be issued. Needless to say, I informed the caller that I didn’t have a tech support contract and hung up.